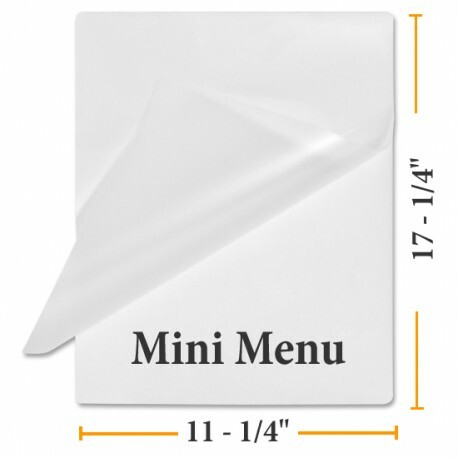 Pouch Measures 11 1/4" by 17 1/4"
Enhance and protect your larger size document with hot lamination. 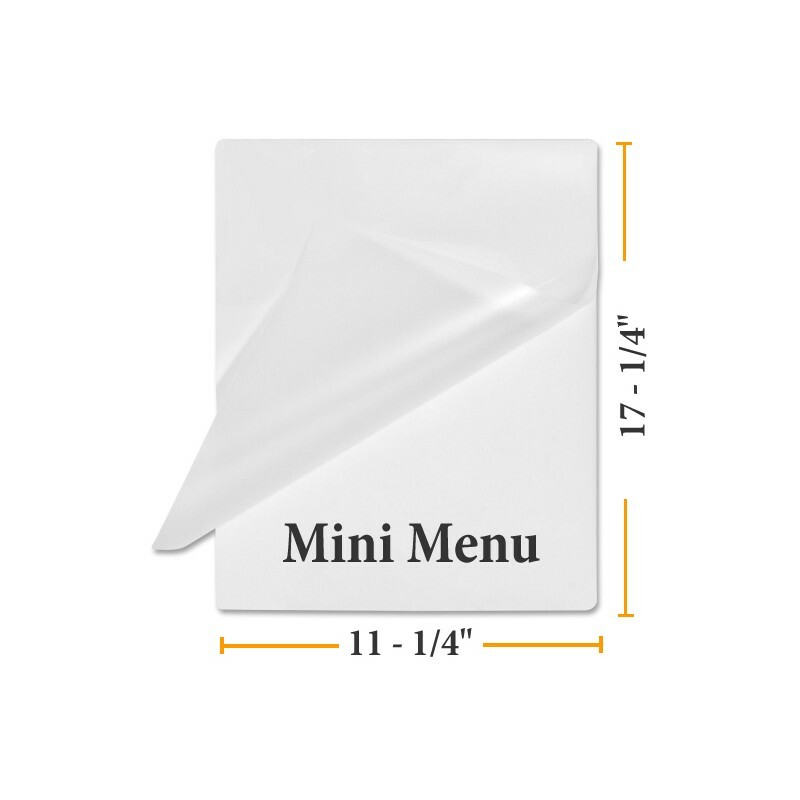 Lamination sheets protect from UV rays, folding, spills and general damage with hot lamination. 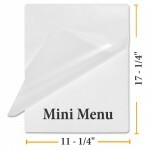 These easy to use, ledger size heat activated laminating pouches offer a cost effective way to present your menu to customers. Document is placed between sheets and inserted into hot pouch laminator machine.